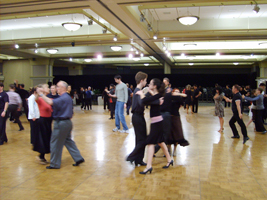 International style - Waltz, Fox Trot, Tango, Slow Fox Trot, Quickstep, Viennese Waltz, Swing, Jive, Rumba, Samba, Salsa and Cha Cha. 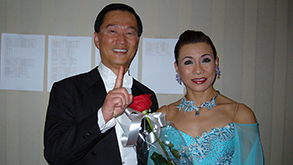 This means we teach one dance 2 to 3 weeks before moving on to the next dance. 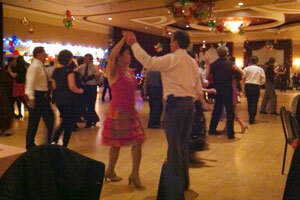 We teach 4 different ballroom dances in our beginners class and up to 10 different dances in the advanced class. Each class session is 55 minutes in length. Private Lessons are available by appointment Monday - Thursday. 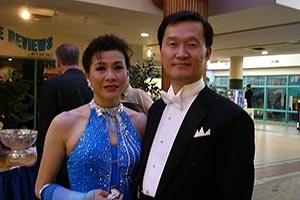 Would you like to enter Ballroom Dance Competitions? 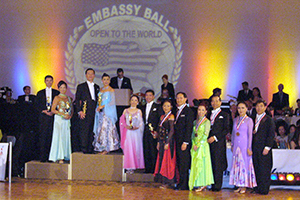 we can train you to become dance competitors, from Beginners to Championship level! Any age! We can choreograph your wedding 1st dance, you pick your "special song" and we will teach you to dance for your special day! Please book 6 to 8 weeks in advance prior to your wedding day. Footwear should be dress shoes that have leather or synthetic leather soles, rubberized soles tend to stick to the floor, sandals are not recommended.